New study: what lifestyle choices lead to happiness for women? Does Planned Parenthood provide prenatal care and mammograms to women? 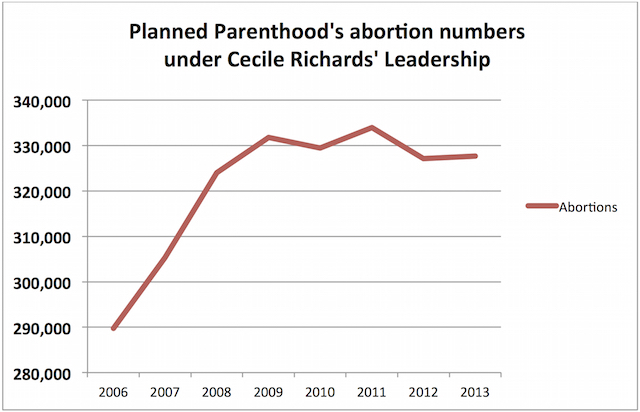 How many abortions does Planned Parenthood perform? A new video put out by Live Action takes a look at the claim that Democrats make that Planned Parenthood provides prenatal care to pregnant women. But that’s not all – what about the claim made by Democrats that Planned Parenthood provides mammograms to women? Life Site News explains the myth and the reality. The day before hundreds of pro-life activists prepared to flood Planned Parenthood’s offices with requests to schedule a mammogram, the organization issued a statement admitting that they do not offer the cancer screening procedure at any of their facilities. Not only does Planned Parenthood not provide mammograms, but the abortions they perform have been linked to the epidemic of breast cancer that is afflicting women today. What about the claim that only 3% of what Planned Parenthood does is doing abortions? […]The 3 percent factoid is crafted to obscure the reality of Planned Parenthood’s business. The group performs about 330,000 abortions a year, or roughly 30 percent of all the abortions in the country. By its own accounting in its 2013–2014 annual report, it provides about as many abortions as Pap tests (380,000). The group does more breast exams and provides more breast-care services (490,000), but not by that much. Such cracked reasoning could be used to obscure the purpose of any organization. The sponsors of the New York City Marathon could count each small cup of water they hand out (some 2 million cups, compared with 45,000 runners) and say they are mainly in the hydration business. Or Major League Baseball teams could say that they sell about 20 million hot dogs and play 2,430 games in a season, so baseball is only .012 percent of what they do. Supporters of Planned Parenthood want to use its health services as leverage to preserve its abortions, as if you can’t get one without the other. Of course, this is nonsense. The Centers for Disease Control and Prevention provides free or low-cost breast- and cervical-cancer screenings — without aborting babies. State health departments provide free cancer screenings — without aborting babies. Community health centers provide a range of medical services — without aborting babies. I think it’s a good idea to be able to respond to Planned Parenthood’s rhetoric. These are the people who kill babies, and we have to be able to respond to their false claims. When a majority of people learn the truth about the baby killing business, it will stop. New study: what lifestyle allows women to be happiest and most fulfilled?